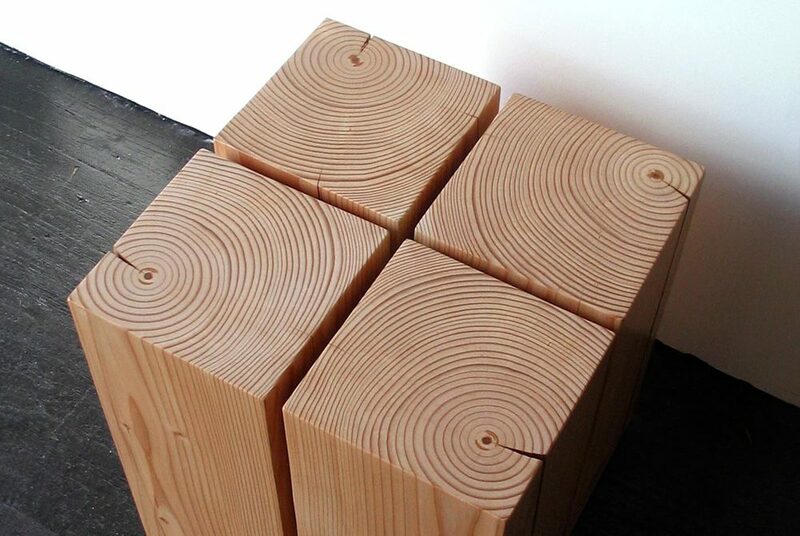 End block is a stool/table from our Block series. Made of four sections from a single beam, End Block is simple, solid and focuses on the beautiful figure, checks and end-grain of the reclaimed douglas fir. End Block is made to order and can be customized.